Working on a proposal during a Government shutdown is a unique situation. Each shutdown is different, and it can be like sailing in uncharted waters. This one, obviously, occurred in time for the holiday season. Cheers to us! However, don’t put the proposal effort on hold and start loading up on eggnog and cookies just yet. A quick glance at FBO or the incoming emails from Bid Administrator at Seaport-e will quickly clue you in that not all Government acquisition activities are on hold. Many continue to move forward. This shutdown caught many by surprise, and thus there was little time to prepare. But never fear; practice makes perfect. The way things work in our nation’s capital, you will have plenty of opportunities to perfect your shutdown preparation. In the meantime, we are in the middle of a shutdown, so here are some things to consider. If you are expecting a Government RFP to hit the street, continue looking for it, at least until you hear from the Contracting Officer (KO) or Contracting Specialist (KS) that it will be delayed. If you are a Capture2Proposal user, you will get an instant notification email for anything that changes on FBO. If you are actively working a proposal, continue the effort as though the due date for submission will remain unchanged. Until an amendment is issued with a new submission due date, it remains officially due. A quick search on FBO revealed that amendments for this partial shutdown do exist. If you haven’t heard from the KO/KS, reach out to get information as to whether or not the shutdown will impact your proposal submission. You may get a response, your email may trigger official guidance being released, or, you may get an out of office reply/voicemail (but then at least you know that you are on your own). If your proposal requires that a Government point of contact (POC) must complete and submit a past performance questionnaire on your company’s behalf, you will definitely want to check to see if that POC is still working. If not, check to see if the Government has extended the proposal due date or when the questionnaires are due. Often, Section L requirements are written to give the KO/KS leeway to accept late questionnaires at their discretion. If you get an award lost notice and the required debrief during the shutdown and need to file a protest with GAO, that can be done using their new Electronic Bid ProtestFiling and Dissemination System (EPDS). So, what should you do if you get absolutely no indication of what’s happening? Your best course of action is to follow the Section L instructions down to the letter. If questions are due to the Government by a specific date and time, submit them. If the proposal is due, submit it as instructed. If some other company tells you that they were told that an extension would be granted, be cautious. A good rule of thumb is, if you don’t receive something from the KO/KS in writing and is verifiable, then you have nothing. 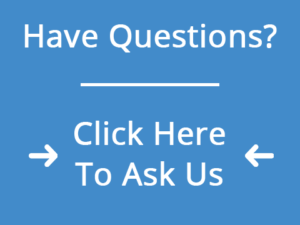 If you are submitting questions or an electronic proposal, it’s easy and pain-free. Your submission is time and date stamped. If, however, you’re working with a contracting shop that is still living in the dark ages and you must deliver one original and six copies of all three volumes, then it may get painful and tricky. No one enjoys printing thousands of pages, page checking, labeling, and packing the boxes just to get the opportunity to do it all over once the shutdown is over. That is the painful part. The more problematic part is in the delivery. If you are allowed to deliver in person, you need to make sure that you are prepared to document the delivery. If you’re unsuccessful, it’s very important to document the attempt. I suggest doing so by documenting time/date with stamped pictures that show you were there. At least with smartphones, this is pretty easy to do. The alternate sensitive situation is if you are required to use a courier service such as UPS or FedEx. If your KO/KS has gone dark on you and you decide to deliver, you may lose a good night’s sleep worrying about whether or not your proposal got to where it was going or is just sitting somewhere unattended. The best you can do is to make sure that you require someone to sign for the delivery. Could something go wrong? Sure, but you’ve done your best. 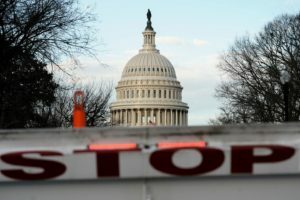 Government shutdowns can present unique challenges, especially if you have a proposal due during or shortly following the shutdown. If you take away one thing from this piece, remember: Section L of the solicitation remains in effect until you have an amendment or some form of official notice that results in a change. Also, make every attempt to communicate with your KO/KS. Check your subscription service, such as Capture2Proposal for updates. If you don’t have a reliable business intelligence platform, then monitor the applicable Government websites and your inbox for notifications.